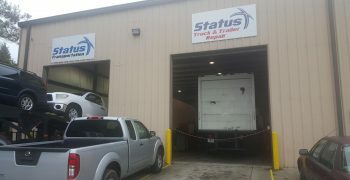 This month Status Transportation celebrates Status Truck & Trailer Repair’s first anniversary! We would like to share a story of success! We first opened the doors to our truck repair shop in Forest Park Atlanta, GA with a mission to provide owner operators with high quality, cost-efficient semi truck repair, and trailer major and minor repair services. A few months in the demand grew to the point where we decided to open our truck repair service to the general public. What started out with 1 ASE certified service manager soon became a team of 9 very qualified and knowledgeable technicians. This team adopted the company’s goal of establishing long-term relationships with our customers. 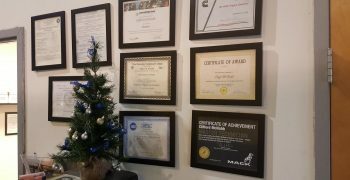 During the last year, we were able to build a solid customer base as well as a solid team base. We also established great internal procedures and spent time creating a safe work environment for our employees. Earlier this year we became an authorized dealer for ACEMCO Auxiliary Power Units. Keep that in mind If you are thinking about purchasing a new or refurbished Auxiliary Power Unit. We would also like to let you know that to better meet our customer needs we recently acquired a fully equipped truck that will allow us to provide commercial truck roadside assistance services within a 50-mile radius of the Atlanta, GA area. Write down our phone number 770-755-1516, you never know when it might come in handy. We want to invite you to take advantage of all these cost-efficient services that will definitely minimize downtime. If you are an owner operator at Status Transportation remember to take advantage of the special rates and discounts we have for you. From our team at Status Truck & Trailer Repair, we want to thank you for your loyalty and support during our first year in business. We are looking forward to continued success and growth in the years to come. Semi truck repair falls in one of two categories, preventive or corrective. Preventive maintenance as the title suggests it can keep your semi truck from breaking down. On the other hand, corrective maintenance has to do with fixing problems after a breakdown. The latter tend to be more expensive or require you to spend more time at the shop. Status Transportation reviews inspections on a quarterly basis to make sure our owner operators are compliant and safe. The following truck & trailer maintenance tips will help you to save money and extend the life of your rig. Tire pressure may differ depending on a particular tire profile. Although some fleet managers inflate at 100 psi to maximize fuel economy, the load carrying capacity may be lower. Increase fuel economy by adjusting your tire pressure based on the tire manufacturer’s inflation table and carrying capacity. It is normal for tires to deflate due to regular usage, so monitor your tire pressure on a regular basis to prevent blowouts due to creeping air loss. It is recommended to establish a strict schedule for oil changes based on the mileage you drive, idle time, weather, etc. After the twelve thousand mile mark, oil starts losing viscosity which can lead to a saturation of metal particles and impurities. Regular oil changes can extend your engine’s lifespan by preventing particles from causing gasket separation or overheating. One driver may suggest performing an oil change every ten thousand miles while others extend it even more. Many owner operators agree on greasing once a week but have different opinions on how often you should change your oil filter. We recommend establishing an oil changing routine with your mechanic based on your individual needs. With 80,000 pounds of combined weight with your trailer, you need to be sure you will be able to stop quickly when required. Performing a thorough brake inspection will help you to detect any anomalies. As part of your pre-trip inspection make sure your slack adjusters do not move more than an inch, check your low-pressure warning light works and also verify the status of the air compressor belt. Take care of any adjustment issues when required for your safety and the safety of others sharing the road. Checking your oil, power steering, transmission, brake, antifreeze or coolant can prevent expensive repairs and will only take a few minutes of your time. Look for fluid running down the side of the engine or hoses for any leaks. A leak is an indication of a problem or a future problem. This should be done every time as part of your pre-trip inspection. Regular maintenance should not be done just to pass a yearly inspection. A well-maintained truck is less prone to accidents, is more productive and will require less downtime due to unforeseen breakdowns that tend to be more costly than regular preventive maintenance repairs. Another great reason to follow a regular maintenance schedule is to avoid unnecessary roadside vehicle inspections. If an inspector finds a mechanical condition that will result in a future breakdown, the truck may be declared out of service. You will have to take care of any issues related to the out of service notice before you can resume your trip. Our safety team goes a step further and requires drivers to have a DOT inspection after an “Out of Service” notice. There is no reason to have to pay for towing your truck and losing precious time for something that could have been prevented in the first place. Preventive maintenance requires you to make a commitment to be proactive and not reactive. A proactive approach to preventive maintenance will demand you be on the lookout for mechanical details that could turn into potential problems. This way you will not wait until a tire goes out or your truck overheats to stop and take care of it. Preventive maintenance is for your truck what healthy eating and exercising are for your body. Maintenance and repairs record keeping will help you to make informed decisions about what maintenance needs to be done in the future. FMCSA requires you to keep records at the principal place of business, office, or driver work-reporting location. Keep up with the times and use your smartphone or a computer to keep a digital copy of all your files, just make sure they are clear and legible. There are different methods you can use to measure the intervals on how often you should schedule maintenance on your truck. The most common measuring methods are time, miles driven and engine hours. The time method is the easiest to measure since it only requires you to specify a date when you will take your truck back to the shop. Although this is the easiest way to schedule service it is not the most cost-effective. 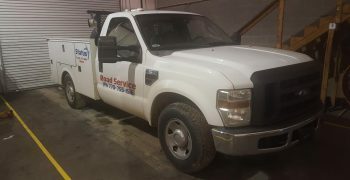 The time measuring method requires you to schedule service regardless of the mileage on your truck or engine idle time. Depending on the season and your workload you may need to visit your repair shop sooner than expected. The next most common method to measure maintenance intervals is based on a number of miles you drive. Most truck drivers tend to use this method when scheduling oil changes. The problem with this approach is that it does not account for idle time or PTO time. Idle time could account for the largest percentage of the time an engine has been running. Scheduling your truck maintenance based on engine hours makes sense if you are mostly hauling short runs. Depending on your type of operation one of these three methods will be your best option. As a trucker, you know your truck better than anybody else. In a case of not having any prior maintenance records, you should follow the manufacturer’s recommendations of when to service your truck. Once you have a maintenance history established, you can rely on those to determine maintenance intervals. More often than not your mechanic will also keep records that can help you to determine preventive maintenance intervals. 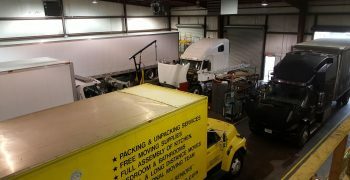 If you are in the Atlanta, Georgia area come visit our truck repair shop. We are conveniently located in Forest Park, close to Hartsfield-Jackson Atlanta International Airport (ATL). At Status Transportation, we understand the importance of keeping your truck in tip-top shape. Inspection reviews and following a maintenance program can extend your truck’s lifespan and help you save money in costly repairs. After all, in owner operator trucking, your truck is your most valuable asset.